The Commission on Combating Drug Addiction and the Opioid Crisis found that in the last 17 years, the number of opioid overdoses in the U.S. has increased four-fold, aligning with the number of opioid prescriptions sold. That’s no coincidence. While opioid abuse remains a complex and burgeoning problem, the fallback solutions are avoiding the need for opiates in the first place and curtailing the amount a physician can prescribe. In addition, nearly every state has adopted a medication management program that allows regulators and doctors to track the number of opioids prescribed. Another solution that flies under the public radar is familiar to surgeons: a piece of equipment that works quietly in the corner of many an operating suite, known as intraoperative neuromonitoring (IONM). IONM monitors electrical potentials from the patient’s nervous system during surgery involving the brain, spine and other parts of the body. In real time, the certified IONM technician can monitor and evaluate the function of the patient’s brain, spinal cord and nervous system. Intraoperative neural monitoring offers a set of eyes more accurate than the standard visual and x-ray assisted methods. It can detect nerve injuries before they reach a level that could lead to prolonged or permanent damage. Specifically, IONM helps the surgeon avoid injuries that can cause postsurgical problems such as muscle weakness, hearing loss, paralysis, and loss of normal body functions. Many of these conditions can cause pain that in some cases indicates use of narcotic pain relievers. In study after study, IONM has been shown to reduce the need for opioids post-surgery, because it reduces nervous system complications, pain and hospital readmission. As a company that puts patient safety first, Physician Partners of America has embraced this technology to become a leader in performing IONM in many types of surgeries. 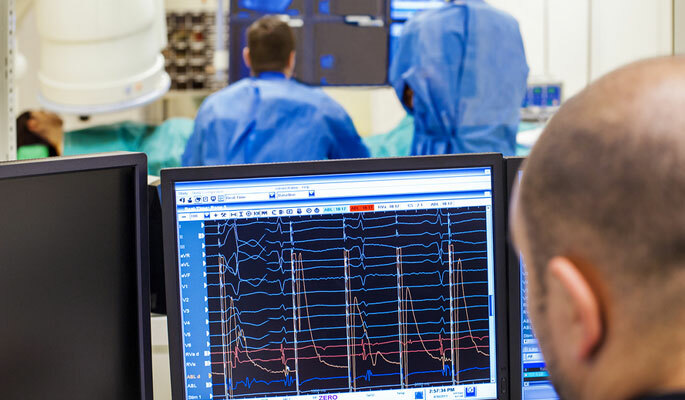 In the past eight months, its certified technicians have monitored more than 400 operations related to interventional pain relief alone, making PPOA a leader in this application. The company is in the process of gathering case studies for pain-related surgery monitoring. Along with medication management and pharmacogenomic testing, IONM is one more way Physician Partners of America is leading the charge in ensuring patient safety and battling the opioid crisis.